The Ghana Taekwondo Federation has started their National Licence Coaching Course, which is part of their 3-month Development of National Sports Systems (DNSS). The Coaching course which is for only unlicensed has seen some young people training to become experts in the sport. 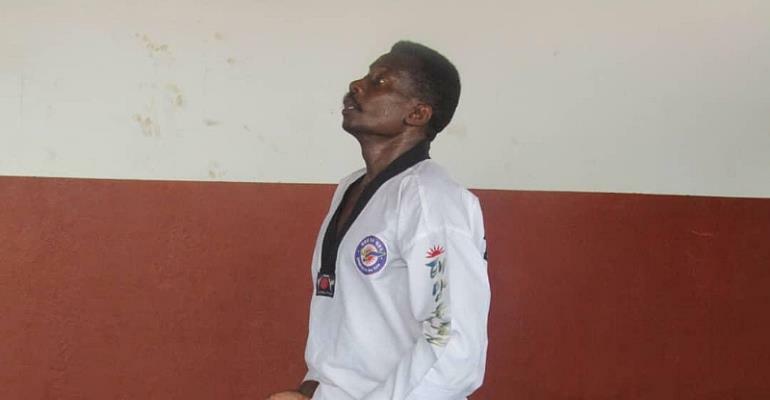 President of the Ghana Taekwondo Federation, Frederick Lartey Otu, believes, the sport will look more attractive than before after the DNSS programs are done. “We seek to expand the growth of the sport, the reason why we want to train 40. We have brought a very experienced Taekwondo Practitioner & Coach, in the person of Patrice Remarck whose expertise will have a great impact on the participants. After these programs, Taekwondo in Ghana will become different and look attractive as well.” He said. Participants for the 3rd and final phase of the DNSS were drawn from the 10 Member Regional Associations and are expected to successfully go through the course and also impart into their athletes with the formation and registration of new Clubs as well. Ivorian and French Patrice Remarck, a 6th Dan Black belter with 40 years experience handled 40 participants. The World Medalist and Olympian is the former Head Coach of the US Taekwondo and a special advisor to the Cote d’Ivoire Taekwondo Federation.